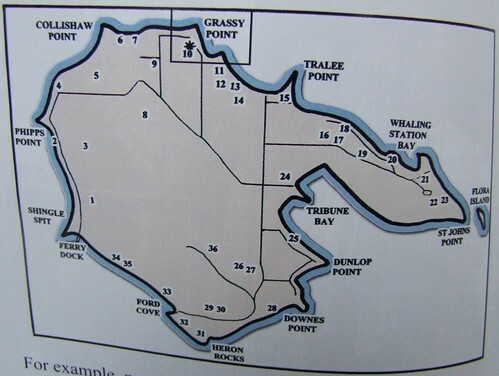 Nest #22 Helliwell is in Helliwell Provincial Park. 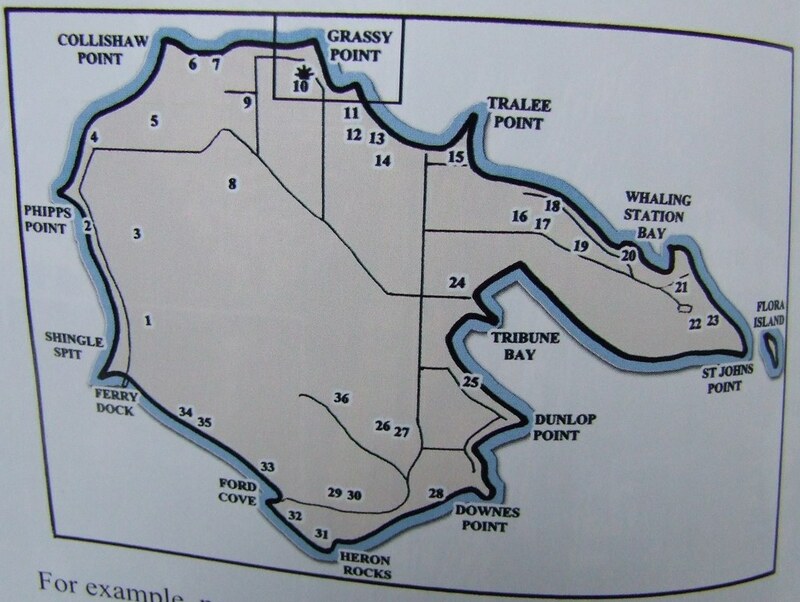 Today i was walking along the bluffs of Helliwell. You can see the bluffs in the second foto of luvthebirds*s post here. Suddenly off in the distance going out over the water i saw a HUGE wingspan dipping down towards the water! i hurried to catch a glimpse of them rising back up into the sky. But there was no sign of them. Then i saw a huge wingtip not thirty feet from me! The eagle had landed on the edge of the bluff! As i got closer, the Eagle took off from the bluff. The Eagle was an immature or juvenile eagle, by their colouring!! They landed in the top of a tree, way off in the distance. i heard trilling coming from behind me. Two adult eagles flew over my head & behind me, one right next to the other. i assumed they were a pair til the one closer to the ground turned upside down & reached for the other with their talons & feet! Seemed these two were actually in competition, somehow. As we walked further along, i got a nice glimpse of the young eagle, perched in the top of a fir tree, looking around. So, lots of action at Helliwell today. i am surprised to see such a young eagle here, at this time of the year. booni, maybe this is a question for ajl - was their flight activity an act of aggression or will an eagle pair 'play' that way in the air? I've read that they do but ajl's word would be more reliable. gzebear, i too would like to know the answer to that question!! i am assuming it was aggression, but maybe it is part of pair bonding or exercising or play? Bonnie, what a wonderful sighting and experience for you! . Boy, if the eagle came that close to me, I probably would have fallen off the trail. I wonder if one of the adults you saw was the one who posed for me in that area?? I once saw red tails doing something similar to what you described. Wondered at the time it was fighting or foreplay or play. Booni, didn't you get a picture last year of Hope "taking" fish from Dad's talons? Or did I dream that? I've watched the #2 nest eagles lock talons, drop together, then separate at the last moment before hitting the ground. This was always in February or early March, close to egg time. I've assumed that this was courtship. When I see eagles show talons as part of territorial defense, they don't seem to lock and drop - mostly they don't even touch. Another difference is that they then fly away from each other. A lot of birds use the same type of gestures for courtship and territorial defense. The context imbues the behaviour with different meanings. luv, i think Doug saw a Hope-like eagle chase Dad down & steal his fish last year? During the herring spawn, i saw a sub-adult chase Mum down & take her fish. 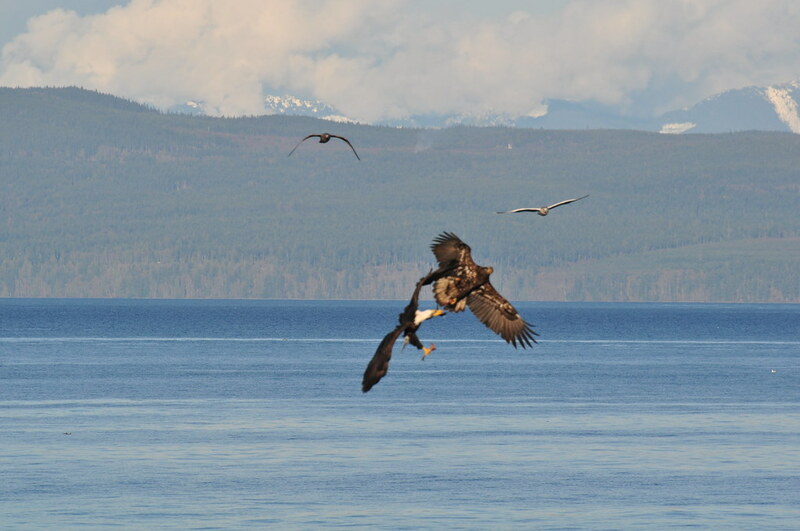 Here is a foto of a sub adult/immature eagle stealing Mum*s fish last season! march 3 2010 16:45:50 - Mum is chased down by a young eagle wanting her fish!! Today, instead of working in my garden and doing housework like I was supposed to do, I played hooky and went to Heliwell Park instead, to check on the eagles and photograph the wildflowers. I spent a half hour watching Nest 22. Just as I was arriving, someone landed on a branch above the nest, almost hidden from where I was standing. This adult eagle stayed there for maybe ten minutes, then flew off. I could see nothing in the nest. Then I went walking around Heliwell. A few times I heard calls, high and low, from the direction of the nest. So both eagles seem to be accounted for. Oh, it was so subtle. Sometimes all it takes to make my day is just a glimpse of white feathers. Yes, there was someone on the nest all that time! Someone who is not moving much. An eye is staring right at me! So I'm pretty sure there are some eggs or even a hatchling or two in this nest. Wren, wonderful sighting! It does look as if someone is sitting on eggs or chicks, doesn't it?! i received a *Wildlife Concerns* call after we returned from checking out the Seal pup. Someone walking their dog in Helliwell had seen a young Eagle standing on the path. They had something weird with the left(?) wing, & also seemed to walk funny. They were standing right there on the path, & only moved off to the side about two feet as the woman approached with her dog. wren & i went out to look for them just before dark. We saw no sign of them. We also saw a couple who had just walked by & they had not seen him either. Brave wren got up early this morning & hiked for an hour in that area, looking for the downed young Eagle. She saw no sign of him. She also ran into someone who walks there regularly, & will keep an eye out for him & report to us. I hope that you and Wren will find and rescue this bird quickly. Thanks boonib for the post and wren for going back to look. It is encouraging that there were not as many 'downed eaglet' reports this year as last year by this time. I know that HEART will keep us posted. There were two more possible sighting of this *downed* Eaglet, all by the same person! The next two times, the youngster was seen walking next to a pond, looking a bit wet. Next thing, he was flying away! He was seen again, later today, in a cedar perch tree near the pond again. Perhaps he is the youngster from nearby Nest #21? 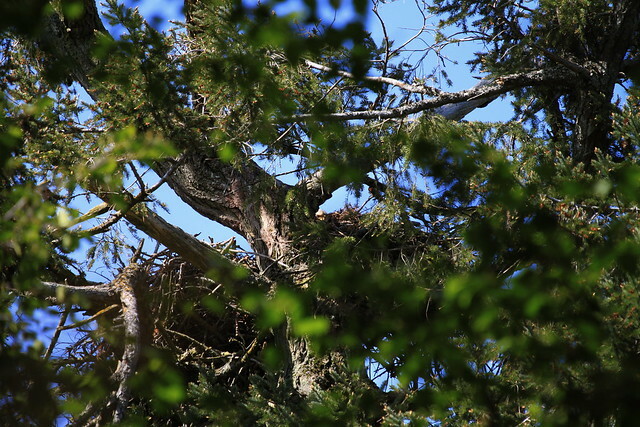 Another report, from Heliwell Park, within 300 metres of the first sighting... Eaglet down on the ground, has let someone approach to within six feet before flapping, and even then not taking off. No sign of injury, but we're talking about a close approach twice. I'm thinking that the eaglet by the pond might be a different one. From nest 21? I'm in contact with MARS and we're making an action plan right now.